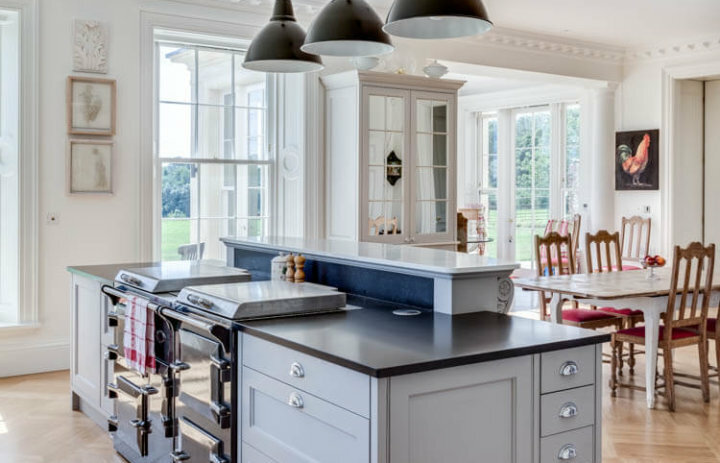 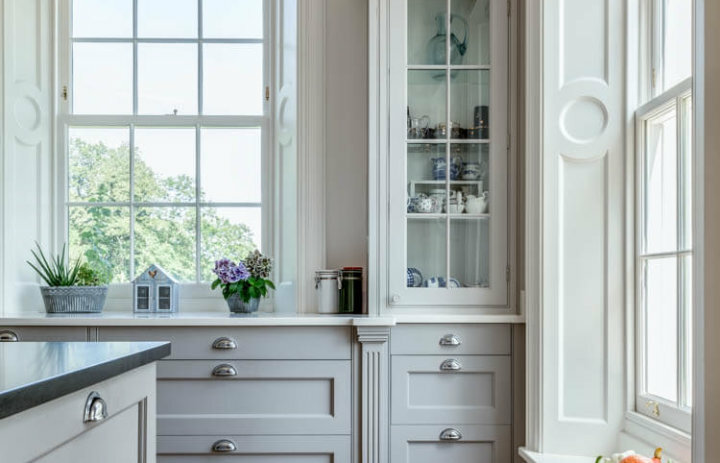 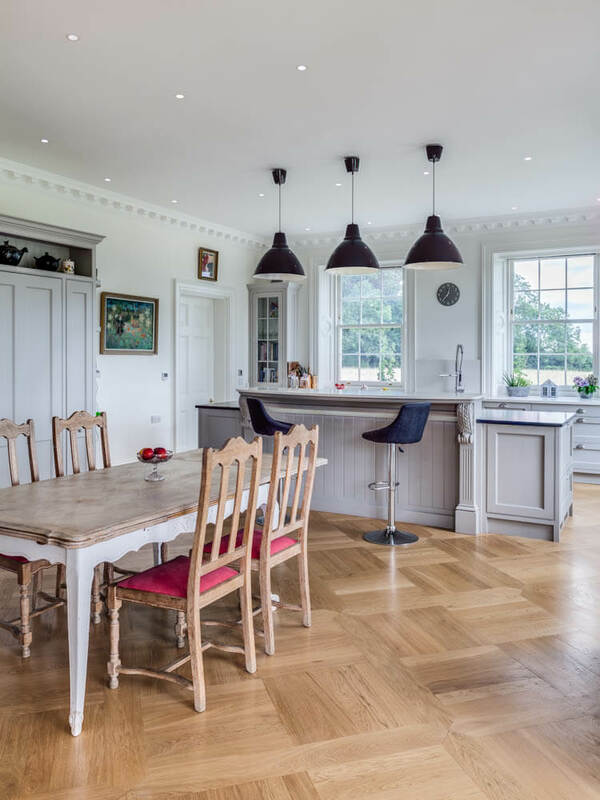 This new country house set in the luxuriant Cotswolds was built as a much larger replacement dwelling to allow for more living accommodation on a Grade 1 Listed landscape. 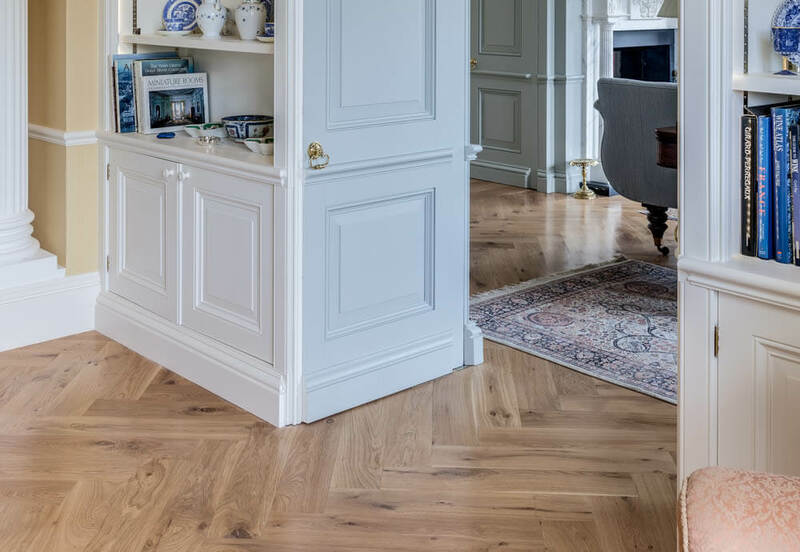 Architects Verity & Beverley consulted with their clients and ourselves and chose to go with our satin finished Chaunceys Original Tectonic Engineered Prime Grade 240 x 20mm boards as well as our FSC certified Character Grade 15 x 85 x 425mm Engineered Oak Parquet blocks. 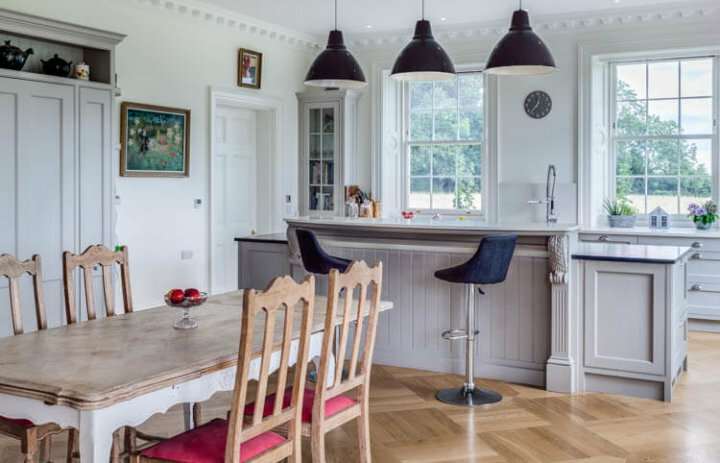 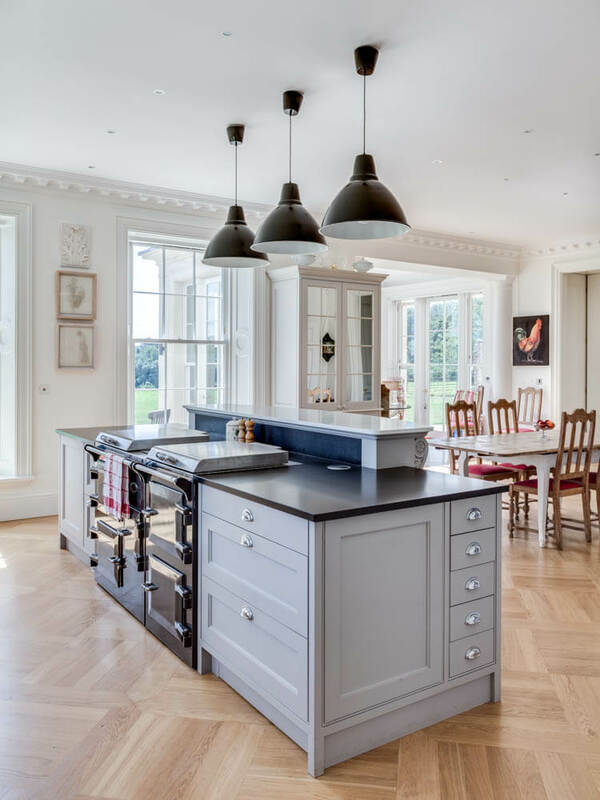 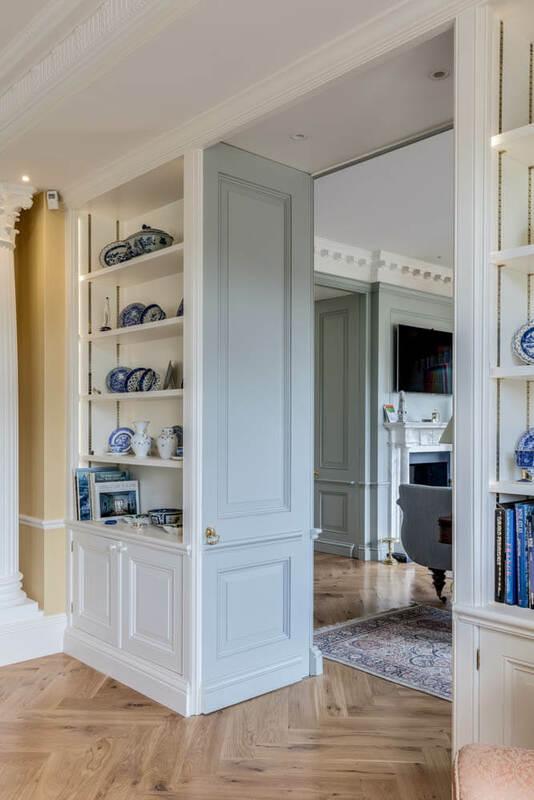 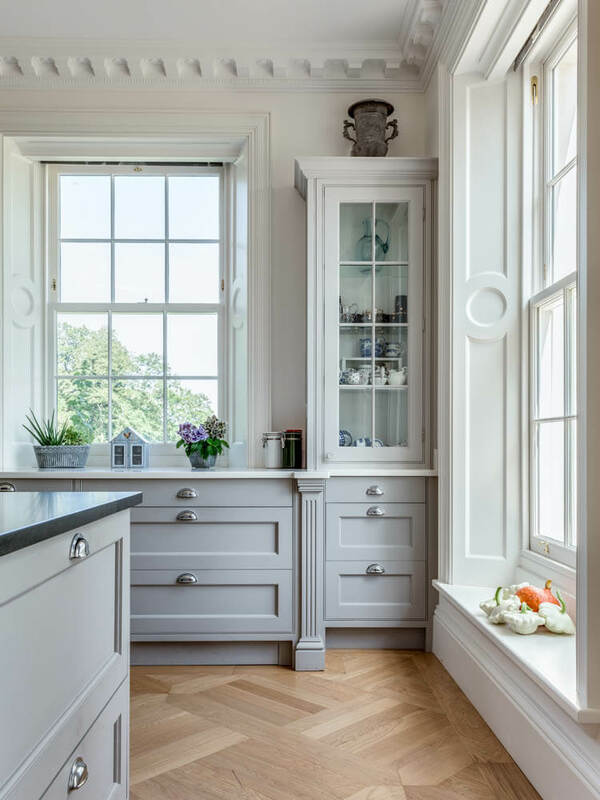 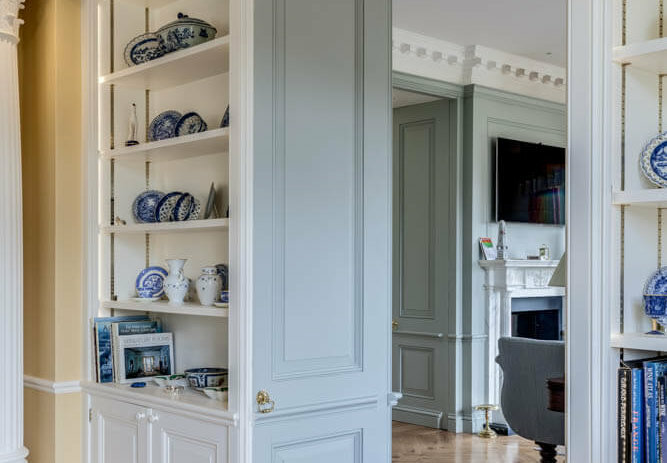 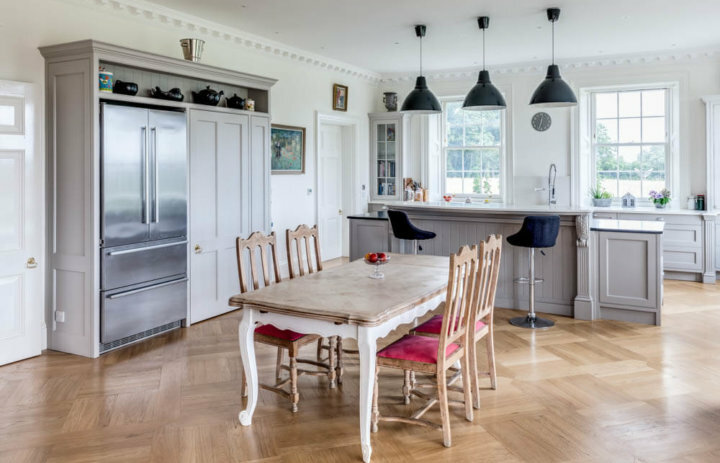 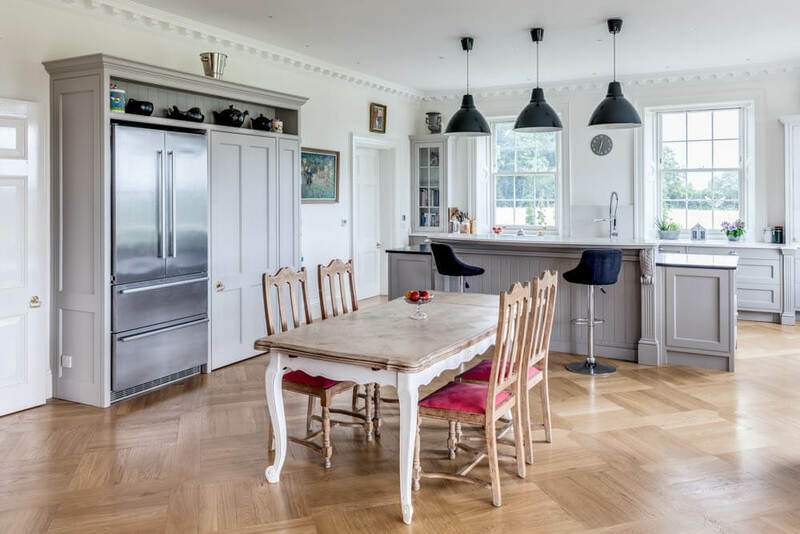 The blocks were fitted as parquet panels in the kitchen and the boards were laid in a herringbone chevron pattern in the living room, providing a stunning outcome for the interior of a house in a very lush setting.